a: The American Flag’s white stars on blue background’s pattern is the detail that jumps out at me. 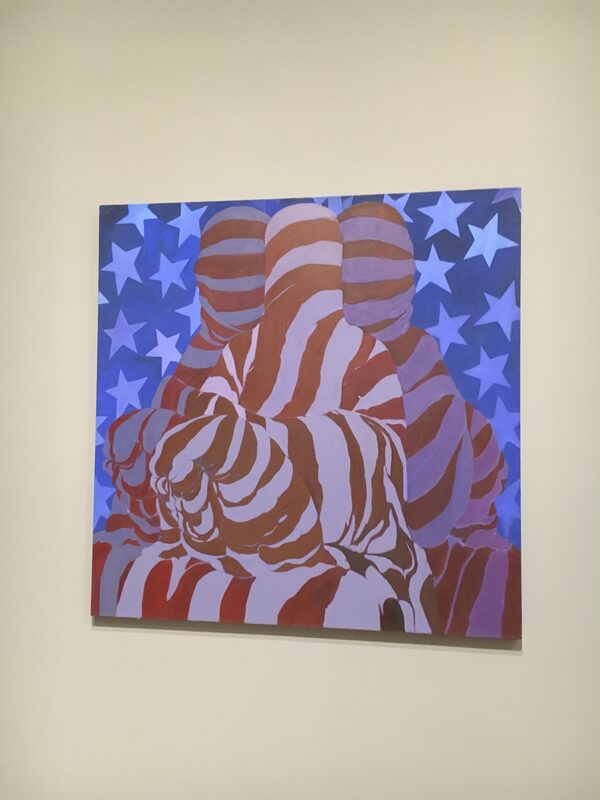 When I took a close look at the painting, the detail of a protruding volume set on the two people’s right knees covered by red and white strip‘s fabric which form the American Flag with the white stars on the blue background.My initial impression towards this piece is the suppressed women behind politics. They are like muslim women who wear burqa that cover the whole baby. For me, I interpret the covered volume on knees as the kids holds by their mothers. b: The medium is acrylic on canvas. 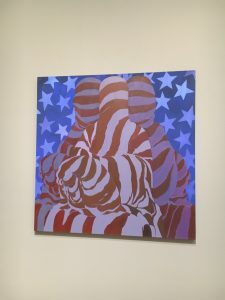 The acrylic paints has a feeling of thickness and purity, which reinforce the content showing a religious, serious image with symmetrical composition and american flag pattern. a: This acrylic painting used only one material which is acrylic paints obviously. And the artist only use graphic elements without adding any text in her work. But the American Flag pattern for me is a kind of text in this drawing. People read it quickly as the text’s function does. The figure is contextualized and hidden in the politic “text” ironically, incorporating political pattern into religious clothing. Other items in Strike, Boycott, Advocate includes photography, graphic art, historical documents related to war, protest, strike. May Stevens’s Dark Flag echoes with the surrounding artworks in revealing a strong and angry attitude. b: The painting was made in 1976. It is right after the year when Vietnam War ends in 1975. I think the author’s own family background and education background would help me understand her painting deeper. Question 1 : why the faces of the three people are not shown? What’s the intension of the anonymity? Explanation of question 1: The three figure are the main component of the whole image. So the way they are showing to the audience represent the artist’s opinion and attitude to a large extent. For my painting, I choose to use red silhouette of women’s uterus to cover their head and face. May Stevens’s work and my work all have elements of anonymity which relate to our attitude. Question 2 : What is the meaning of using American Flag pattern in background and as the texture of the covering fabric? 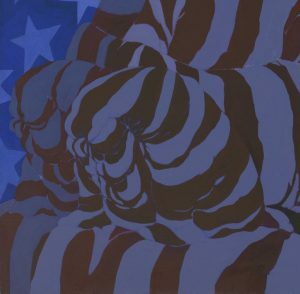 Explanation of question 2: The pattern of American Flag is also a dominant element in the whole piece, running through the whole painting. The combination of figure with political elements brings new meaning. It helps understand the purpose of this painting and it relates to my own work’s repetitive using of a specific symbol, in representing my research issue. Question 3: What the relationship between this painting with others paintings from the same series– Big Daddies? Explanation of question 3: The overall view of the whole series can help understand the specific one more comprehensively. It can know the artist’s intention in a broader aspect. And my own work included three pieces as a series. How the three pieces, attributed to the same research issue, expressed different content with same intension is similar to what May Stevens is doing. I searched the New School in order to find monograph of May Stevens. But I didn’t find out any book relate to her. So I went to the Strand book store and showed my information to the shop assistant. 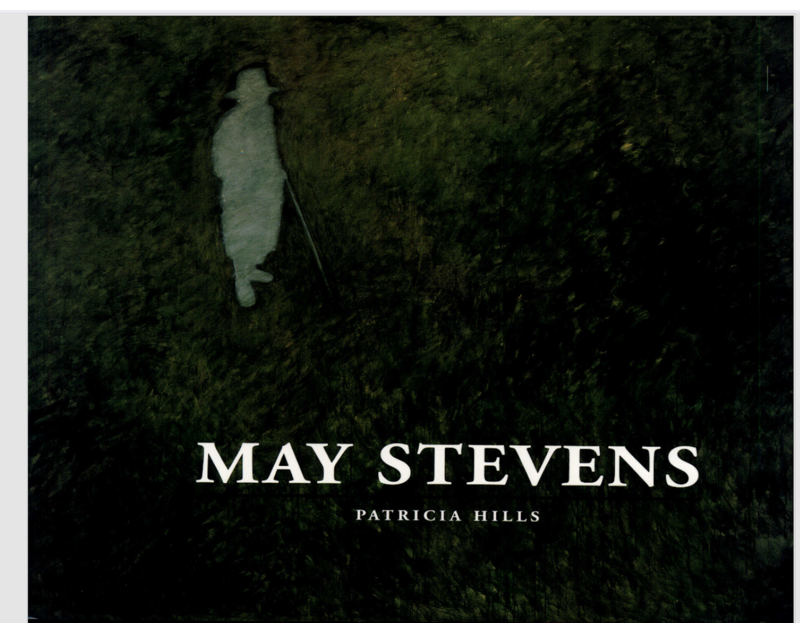 It was disappointed that there weren’t monograph about May Stevens either. 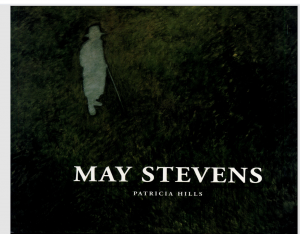 But finally I found a May Steven’s monograph by Patricia Hills in Goggle Book. From the information given in this book, I found out that Dark Flag is in a series called Big Daddy, depicting her father in order to represent the patriarchal society in America. Before Dark Flag, she made a piece called Big Daddy with Hats in 1971. After Dark Flag, she made Artemisia in 1979. And I think the reason Whitney Museum chooses Dark Flag from Big Daddy series is because the figure in Dark Flag is anonymous, while the others in that series all portrayed the face of her father. So Dark Flag can give audience more free space for thinking and interpreting in this context full of political information. The artwork I chose is May Stevens’s Dark Flag. It is an acrylic painting showing the image of three figures covered by white and red strip fabric. The background of the painting is white stars on blue paints. The white and red strip with the blue and white background form American flag obviously. 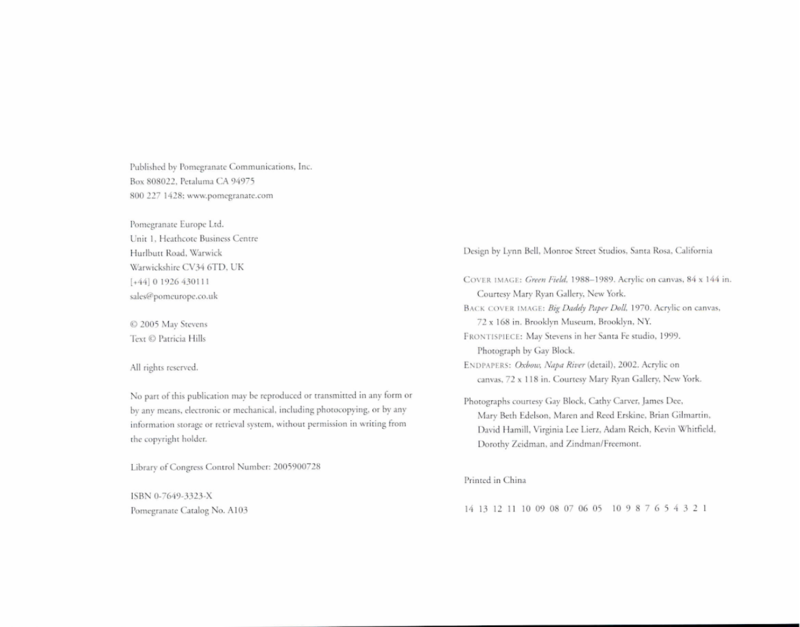 The rest of the pieces shown in Strike, Boycott, Advocate include historical documentations, graphic art, photography work and small scale paintings. 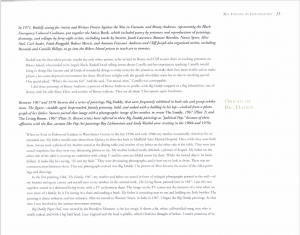 Unlike other exhibits which shared a wall, Dark Flag, as a large scale artwork, owned an individual wall by its own. Besides the scale, the use of acrylic, which gives out a feeling of thickness and purity, enhances the artistic atmosphere to this open space and attracts viewer’s attention at the first sight. From my observation, most audience walked around the exhibition first to have a whole view of the artworks, And then stopped at the Dark Flag, observing the pattern and color for around ten seconds. Some of them would take a close look at the starts on the background and casted their eyes and heads downward to see the details of the three figures. Some of them just took a few steps backward in order the see the whole paintings, crossing the arms over their chest. They observed the painting around twenty seconds, trying to figure out the intention of the authors. Some of them just walked pass and stopped immediately at this piece, pulling out their phones and taking pictures of it or looking at the information board beneath the painting and then start searching the artist and her pieces. But I didn’t see anyone really discuss of this painting. Most of them were quiet audience who took less than a minute in viewing May Stevens’s Dark Flag. But I still think they feel shocked when seeing this paintings. This art piece really make people think about politic and human rights. Question 1: What’s your first impression of this piece? Question 2 : What the identity of the three figures behind the fabric do you think? Question 3 : How do you interpret the combination of the figure with the pattern of American Flag? Question 4 : What time period do you think this piece was created? Question 5: Do you think the artist of this painting is a male or female? Why? Q1: What’s your first impression of this piece? A: It’s like a American Flag. Q2 : How do you interpret the combination of the figure with the pattern of American Flag? A: It separates the elements of the national flag. He or she applies red to the figure and blue to the background. So it kinds of like separate individuals. Q3 : What the identity of the three figures behind the fabric do you think? Q4: Do you think the artist of this painting is a male or female? Why? A: Maybe it is a female, because in Iraq, female will wear the robe like this. Q2 : What the identity of the three figures behind the fabric do you think? A：I think it is the metaphor of American citizens, because it is under the American Flag, and it is a artwork that is talking about the situation of America. Q3 : What time period do you think this piece was created? A: I think the time period must be very recent, like from 2000 to now. A: I cannot tell just from the artwork to see the artist is male or female, though the feeling of the artwork is strong contrast and depressed. Q3 : How do you interpret the combination of the figure with the pattern of American Flag? A: The current issue that Muslins are having political and religious conflict with American identity and the Americans, like US is being “islamized” and the local Americans are losing their own identity. Q4 : What time period do you think this piece was created? Q5: Do you think the artist of this painting is a male or female? Why? This is actually my first time having a field trip with a specific instruction to lead me toward the whole exhibition. I have never spectated an art piece so closely and carefully before. 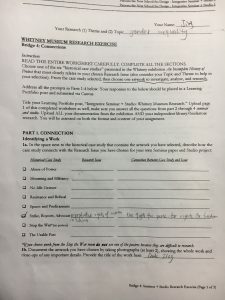 The research exercise is divided in four parts: connection, content, context, significance. It not only includes our own opinions towards the artwork we chose but also has interview which can hear other people’s voices to help us understand the work better. 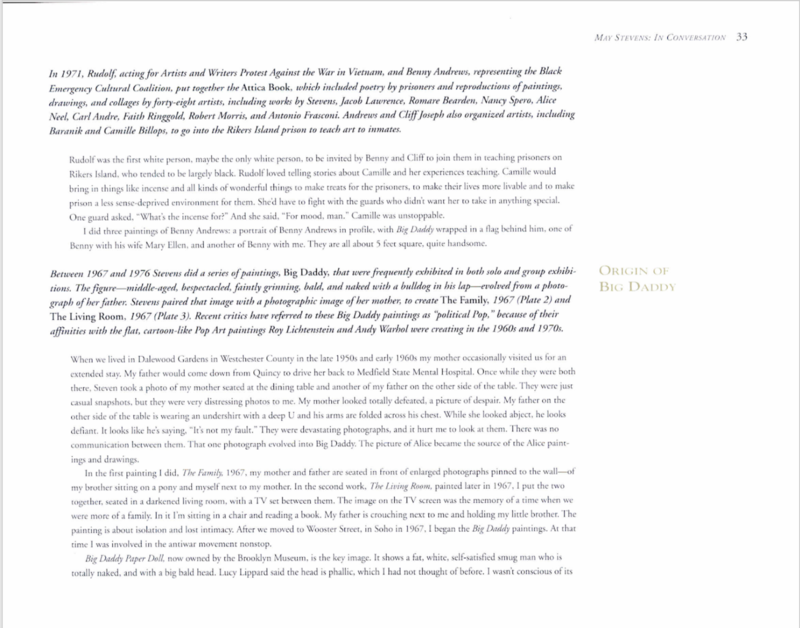 When doing the connection part, I went around the whole eights sections of this exhibition in order to find any connection with my final work about gender and reproductive rights. During this process, I found out new points like politic which can help develop my own theme deeper, in a broader aspect. The thinking between my project and the artist’s work was valuable since I can exchange the identity between creator and spectator. For the content part, I started thinking about why the artist to choose this kind of material. Is it for visual enjoyment or is it enhance the intension of the artist？Now I consider the material not only as a tool but as an opinion or attitude. For the context part, it really helped me to feel the relationship of the piece I chose and the other piece in that space. I was no longer seeing a piece separately, instead, putting them in a whole context to see the hidden connections. And after I did the historical context of that art piece. I see the difference between my own interpretation and artist’s original purpose. I found out that audience are just making use of the artwork to express their own ideas. What the artist want to say is not that important. We are just seeing what we want to see. The most challenging part of gathering information in this way would definitely be the interview part. The atmosphere of that space is heavy and quiet. It was awkward to interrupt viewers, especially when seeing them gazing at the painting absorbedly. But the result was much better than I expected. They were all willing to share their opinions. Overall it was a really meaningful experience which helped me understand a piece in a new but great way. And I also enjoyed sharing the information with my classmates during the trip.